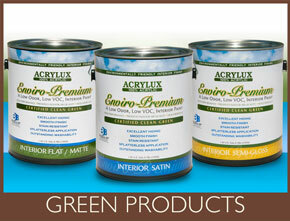 Acrylux Paint Manufacturing Company, Ft. Lauderdale, Florida, produces quality, energy efficient waterproofing products - Acrylic Roof Paint, House Paint, Roof Tile Sealer, Waterproof Roof Coatings, Elastomeric Roof Paint, Paver Sealers, and green products. 100% acrylic based, our products assure superior adhesion and mildew resistance — tested and formulated for tropical South Florida climate, with rigid quality controls. OUR GOAL - To provide premium Florida formulated products that outperform the national brands.